If passed by voters, the initiative would repeal the Costa Hawkins Rental Housing Act, which banned rent control on single-family homes and all housing built after Feb. 1, 1995. 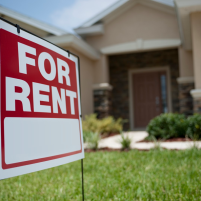 The existing state law also prohibits cities and counties from deciding what landlords can charge new renters. Proponents say the initiative would protect low-income residents from being priced out of their homes. Opponents of the rent control measure say it would cause a decrease in housing supply at a time the state has a severe shortage of homes. The effort to overturn the rent control prohibition is being led by the Los Angeles-based AIDS Healthcare Foundation, which has poured more than $12 million into the campaign for the initiative. Started in 1987 to provide hospice care to AIDS patients, the foundation has grown into a global healthcare organization, and it has recently developed a reputation for funding controversial ballot measures. In 2016, the AIDS Healthcare Foundation spent $19 million on an unsuccessful bid to limit the amount of money state agencies spend on prescription drugs. Pharmaceutical companies outspent the foundation on the campaign, and the ballot measure was California’s costliest in 2016. Michael Weinstein, the foundation’s president, said the housing shortage in California is directly affecting people’s health, as a lack of shelter causes people to become sick and prevents them from accessing care. Opponents of rent control have raised $22 million in an attempt to defeat the initiative. Most of the funding has come from rental companies and the California Association of Realtors. Have you all looked at rentals in California lately? Rentals around here are crazy. The salaries do not reflect the cost of living. I am not sure the government should be able to tell private landlords/owners how much they can charge for their properties, but I DO think certain areas need far more rent controlled/income based housing. That’s just common sense. Specific example: A phlebotomist. Needs specialty training, so it is skilled labor. Pay in SLO county: about 15/hour. Gross income= 2400.month. Studio apt. Found on Craigslist today= $950/month. Rental requires 3 times the rent as gross monthly income, so minimum income required is $2850 a month/$17.81 per hour income. Anything other than supply and demand will only harm those less fortunate. Subsidies, rent control, section 8 housing, etc. only allow employers to pay less than what is needed in a particular area. Not talking homeless here, that is a different topic. Expensive areas are EXPENSIVE, you can’t just stop rents from going up and then increase taxes on landlords and not expect slums. I’ll vote for that in a minute. Anything supported by the Chamber of Horrors and real estate industry must be bad for people. We need rent control to help hard working folks to afford housing. Me thinks the aids people should have spent that money on aids research and stay out of this battle.